Deanna Shrodes: Kiss mahhh grits! Larry and I and 60 other Northsiders are on a 50 day fast. We are eating fruits and vegetables only. It's a good thing I absolutely adore vegetables! I like fruit, I'm just not as crazy about it as I am veggies. So here we are for 50 days, from Easter to Pentecost Sunday (May 11) fasting and praying our guts out...literally. We believe history belongs to those who pray. And, we also believe that some things only happen when you add fasting to prayer. So we do! I never liked smoothies til' I went to Africa. Being that my missionary hosts there were vegetarians, when I stayed in their home we had smoothies every morning. Barb would put bananas, mangoes, and some strawberries in the blender. The bananas and mangoes were from their yard so they had plenty of them all the time. The smoothies were wonderful and when I make them in America just that taste takes me back for a second to Africa. I have made the smoothies lately and mixed up the variety - sometimes I've thrown in peaches and I just got some blueberries to throw in too. I am more of a veggie lover and so far this time I have enjoyed more asparagus and spinach. I just stir fry it quickly in a little bit of olive oil. This is my favorite way to eat it whether on a fast or not. I know, some might think I'm strange but I do love vegetables, even spinach, brussel sprouts and collard greens. The problem is, they don't last with you long...you eat them and you are hungry again pretty quickly if it is all you are eating. Which is one reason I am very thankful for my grits! Thanks Sharon, that is awesome! So funny! Listen. Listen closely to me as never before. Take time to sit each day in a few moments of silence and just listen for my voice. I will use this time - these 50 days - to draw you into such clarity about all things. But more than that I will use it as a time to draw you to my side. So close - so extraordinarily close. My presence and power in this season will be absolutely amazing. You have no clue what you are in for! 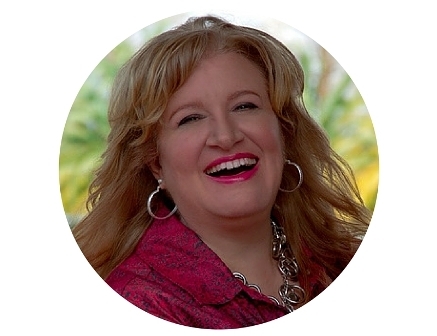 You personally are believing for souls, healing, growth, signs, wonders and miracles. But the truth is, you do not truly realize what I CAN and WILL do for a people who have their hearts set on me and will back it up with their daily disciplines. You have walked the road of fasting before - and you have journeyed in prayer. However, this is DIFFERENT. This is unique, if for no other reason that so many are joining you in unity of purpose. I will do a new thing. Much that need to go will be dropped and some new things added. I will do what only I can do, but more than anything I will be close to you. Are you doing the Daniel fast? Our church just completed a 21 day Daniel Fast where all we ate were fruits and vegetables. It is amazing what "creative" dishes we came up with. 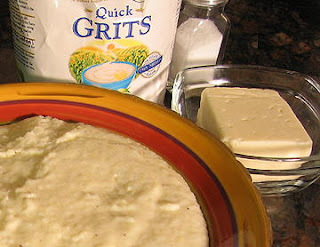 Good luck with that whole GRITS thing. I was born a northern girl and transpanted in the south and I have never learned to like Grits. Go figure. Yes, we are doing the Daniel Fast. I know some people do it with grains too (I have read a great blog recently where the lady said she adds grains) but Larry and I never do - we just do the fruit and veg. If you have any creative recipe ideas, let me know. Last night I had a baked sweet potato for dinner. Yum, it was so good. I felt full, which is a difficult thing on this - you don't feel too filled up dependent upon what you eat. I really like cooked carrots and asparagus and all that but when I eat them (or the spinach - which I love!) I feel like I'm hungry again in short order. Whoopsie! I just noticed that on my original post I said that we were on a 15 day fast. That was a typo. I meant to say 50 day - from Easter Sunday to Pentecost Sunday (May 11th) Sorry. Yes, it's a Daniel Fast. I know he fasted for 21 days - dh and I normally extend it to 50 because we like to do the Easter to Pentecost thing but we do fruits and veggies only. We did do grains...brown rice and whole wheat pasta. Our entire family did the fast and my kids favorite thing was potatoes cooked in olive oil and I would add green pepper, onion and mushrooms. WOW -50 days, our 21 days went quickly and I was not too hungry but noticed we ate more often. God will do great things as you honor Him during this time of fasting. I posted an interesting post on "THE DANGERS OF HUNGER" you might want to check that post out. It talks about day 42 after Jesus fasted, or in your case day 51. Mejor solo que mal acompanado! Spectacular Day in the House! Yikes! This charlatan almost got voted in! Cocky? Or seeing things God's way?